Panelists pictured left to right: Tom Stroup, Justin Forde, Claude Aiken, John C. May, Jenni Word, and Suzanne Coker Craig. 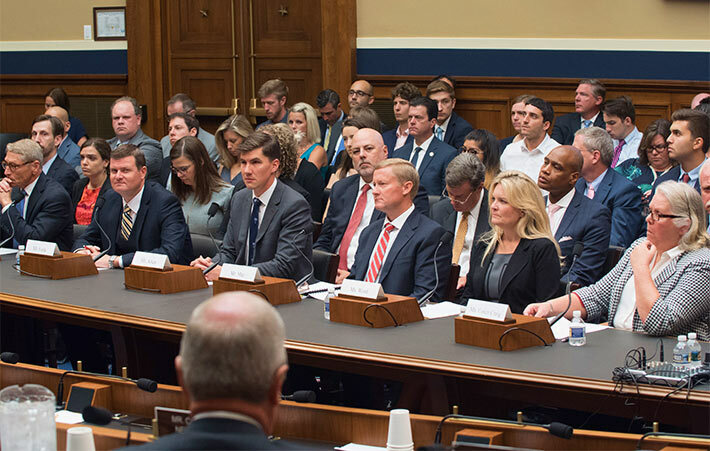 The Subcommittee on Communications and Technology, chaired by Rep. Marsha Blackburn, held a hearing yesterday to discuss the latest efforts to support broadband deployment and bridge the digital divide. Subcommittie members received an update from the panel of expert witnesses about progress made by the private sector and the federal government. 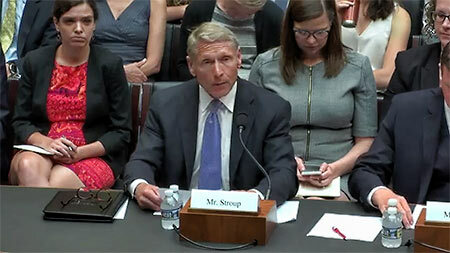 The full hearing video is available below. “Almost six months ago, I chaired a hearing on closing the digital divide. Hearings are useful, but as Chairman, I like to focus on bipartisan results. Today’s hearing allows us to check our progress finding solutions and getting work done. I’m proud to report the members of this Subcommittee have worked together and have accomplished a lot to expand broadband access in rural America,” said Blackburn. 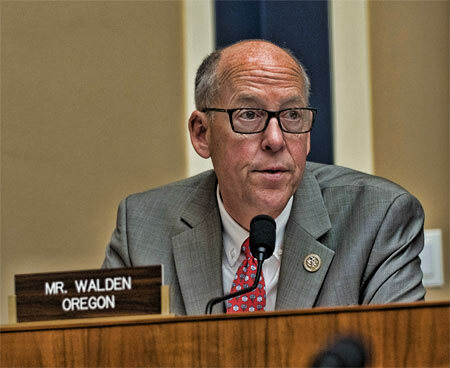 Energy and Commerce Committee Chairman Greg Walden said he was pleased last month when the FCC increased the funding for the Rural Health Care Program by $171 million a year. Experts from numerous industries included, Tom Stroup, President, Satellite Industry Association; Justin Forde, Senior Director of Government Relations, Midco; Claude Aiken, President and CEO, Wireless Internet Service Providers Association ; John C. May, President, Ag Solutions and Chief Information Officer, Deere & Company; Jenni Word, RN, Associate Administrator and Chief Nursing Officer, Wallowa Memorial Hospital; and Suzanne Coker Craig, Managing Partner, CuriosiTees of Pinetops. Blackburn asked Stroup about how policies to promote private investment affect broadband expansion in his industry. Tom Stroup, President of the Satellite Industry Association, said it was important to have “continued access to spectrum and technology neutrality”. Vice Chairman Leonard Lance asked Forde and Aiken to describe the best way for federal funding to be utilized in order to bridge the digital divide. Since examining 25 legislative proposals for supporting rural broadband deployment earlier this year, the subcommittee has led the way in Congressional efforts to close the digital divide. A number of those proposals were included as part of RAY BAUM’S Act, which was signed into law in March, and others were approved unanimously by the full committee during a recent markup.